A “cutting board” is an essential kitchen item, but did you know that there are a lot of different products available in the market? Different materials used like wood, plastic, or rubber, with unique storage style or dishwasher safe products. It can be very confusing to choose one from a lot of available options. We will explain to you the ways of choosing a cutting board, and show you the best items that are available online in rank order. 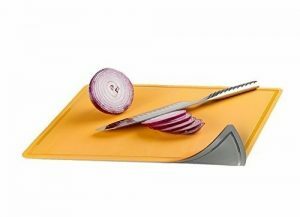 Hope you can find the perfect cutting board for you to enjoy cooking even more! First, we will discuss the pointers to keep in mind when choosing a cutting board. Before choosing a cutting board, try to analyze first the cutting board that you really need. “Materials” can be one of the confusing things in choosing a cutting board. The most common materials nowadays are wood, plastic, and rubber. Try to think about the material that suits you best while we will show you the pros and cons of each material. We will also explain which material is best for who. 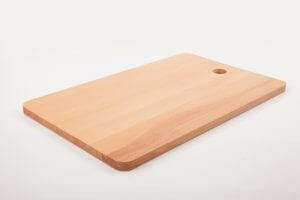 One of the pros of a wooden cutting board is that it has a nonslippery surface that is safer when cutting ingredients. Wood is a soft material too, and can prevent your knife from getting a nicked edge, and can lessen the burden on your arms when cutting too. It is water drains well and the ingredients’ smell won’t stick to a wooden cutting board too. A wooden cutting board is very hard to maintain. You need to dry it properly after every wash in a well-ventilated place to prevent mold build up. You can’t use bleach and other cleaning agents, and once it gets molds, it will be hard to bring back its original beauty. When looking at wooden cutting board’s pros and cons, we can say that it is more suited for professional chefs with longer cooking hours, or housewives who cook every day. The most affordable plastic cutting boards are made from polyethylene and polypropylene and are very easy to clean, unlike the wooden boards. You can use bleach to easily remove stains or molds, and easily keep it clean. It is lightweight with a lot of color, size, and designs to choose from. A downside is that the board itself easily slip, and the surface is slippery too. The material is comparatively harder than wood, making your knives more prone to nicks with a greater burden on your arms when cutting. It can easily be stained by colored ingredients, so using a bleach will become a necessity. It has low heat resistance too. 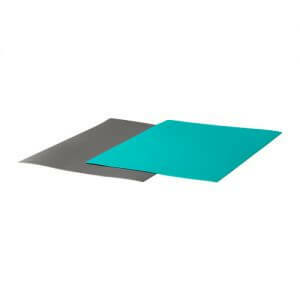 Plastic cutting boards are recommended to those who just started to learn how to cook or those who do not cook that much. Rubber cutting boards are gaining popularity nowadays. It is easier to clean, and more resistant to scratches and molds compared to wood and plastic. It dries up easily too, and won’t easily be stained by colored ingredients too. It takes the pros of both wood and plastic cutting boards, making it very easy to use. Though a rubber cutting board will become heavier with size. It can be a little more slippery than wooden boards, and some people dislike the rubber’s smell at the beginning. Aside from that, there are no big cons for the rubber cutting boards. It is easy to clean and maintain, with less burden to your arms, we can recommend this to everyone. The price is a bit more expensive. Now that you’ve chosen the materials you like, let’s choose the size. 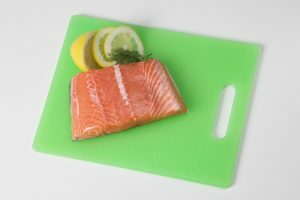 There are a lot of compact and lightweight cutting boards and that can seem like an advantage, but it is more convenient to have one big cutting board. There might come a time when you need to cut a big ingredient, or when you need to cut a watery ingredient in a small cutting board, cleaning the mess after takes a lot of effort. If you think about the cutting process, a bigger cutting board is more convenient, but you also need to think about the place where you use and wash it. 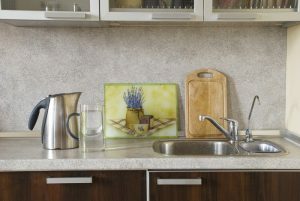 A bigger cutting board that fits your sink and working area will be best. 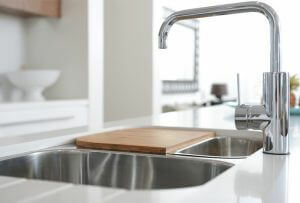 For easier washing, a cutting board that fits your sink is best, but it can be a bit hard if you have a small kitchen with limited space. Just make sure to choose a size while thinking about the washing space. It is natural to wash them every day and keep them clean, but when it comes to hygiene, it is more relieving to have anti-bacterial properties. This is more important for those who are very busy and only has limited time when it comes to cleaning. Anti-bacterial cutting boards are comparatively made to keep the bacteria and molds away, but it doesn’t mean that you don’t need to clean them anymore. You still need to maintain their cleanliness, even if they are anti-bacterial. 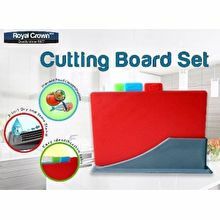 We mentioned it in the materials section that the cleaning and maintenance process will depend on the cutting board’s materials. Those you can’t disinfect with hot water, those that can’t be cleaned with bleach, etc. There are also cutting boards that are dishwasher safe, a must have for those who have a dishwasher at home. Some people get stressed out the moment they purchase a cutting board made of different material, because of the different cleaning process. Choose something that you find easiest to clean and maintain. We are done discussing the pointers in choosing the best cutting boards and their pros and cons. Were you able to think the type that suits you? Now we will show you the most recommended cutting boards in rank order! 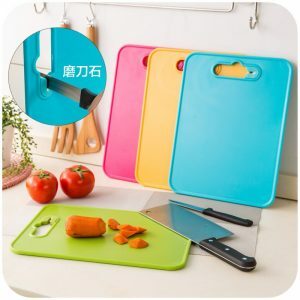 This pop looking cutting board is lightweight and compact, making it easy to use for any kind of kitchen and it even has a knife sharpener. It can come in handy when you want to quickly sharpen your knife before cooking. It is made out of plastic and is easy to clean, with a size and design that is perfect for ladies who live alone. Having a few of these with different roles (e.g., one for raw meat, one for cooked food, etc.) can also be a good idea! This product comes with a small drawer that can come in handy when cooking, you can use it to transfer already cut ingredients to your plates or pan with ease. 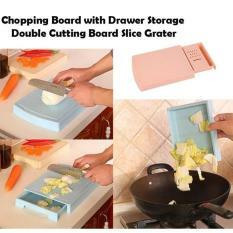 It even comes with a slicer and a grater, a perfect product for cooking beginners! It can be a great product for people with limited storage space too. A downside about this product is that the size is a bit too small when you need to cut big ingredients. We can’t recommend this for big families. This cutting board is perfect for those who love outdoor activities as you can fold it and bring it everywhere. It also comes with a PVC knife that you can use to cut food items easily as long as they are not too hard. You can spread it to make it bigger, but it is still on the compact side so we can’t recommend it to everyday home use. Using it when your kids want to help out can also be a good idea. Cut and Transfer with Ease! 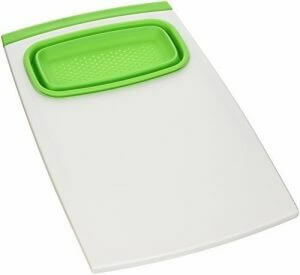 This plastic cutting board is bendable that you can easily transfer the ingredients that you cut into a bowl or a pan. 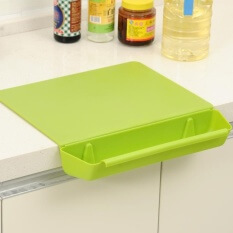 The underside has an anti-slip surface that will grip onto your countertop for easier and safer use. The 2 pack is a good point too, as you can connect the two boards if you need bigger space, or assign each board for a different ingredient to prevent cross-contamination. It is dishwasher safe, and it is very thin making it very easy to store as well. Cut and Drain with this Convenient Product! 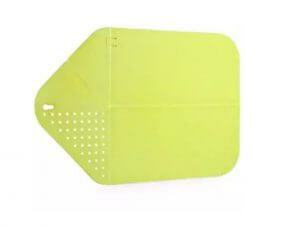 After cutting fruits and vegetables, you can fold up this cutting board like a basket to wash and drain them easily. This can be a great product for frequent salad or fruit eaters. 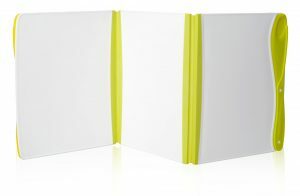 It is lightweight and has a hole that you can use when you want to hang it on your wall, very compact and easy to store. No Space to Cut? No Problem! This product has a handle that can be expanded so you can place it and use it on top of your sink, perfect for those who have limited countertop space. It comes with a small container with a strainer which makes the cutting space smaller, but the board itself is pretty big and you can use the strainer to place your ingredients temporarily. The handle is commended for its durability despite its thinness, but you need to be careful when using it on a curved edge sink as it has a tendency to slip off. 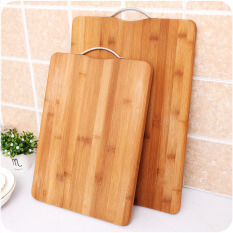 This product has 4 cutting boards that come with its own stand and is only ₱1,000. Very affordable, and highly recommended to those who want to avoid cross-contamination. The stand will also serve as a drying rack that can be convenient for quickly drying your cutting boards, and most especially to compactly store them without hassle. The colorful design is fun to look at, and easy to clean and organize that is perfect for families with kids. This anti-mold cutting board is made with bamboo material to cover wood cutting boards’ downsides: takes a longer time to dry up and easy to mold. It not only uses anti-mold high-quality materials, but it also comes with a stand to help with quicker drying and easier maintenance. The size is big enough to cut a lot of ingredients and has the perfect features for everyday use in every household. The price is also not that expensive, we highly recommend this to those who cook frequently. This unique product lets you use both of its sides depending on how you want to use them. One side is the usual flat cutting board, but the other side has small spikes that can prevent your ingredients from slipping, or can be used as a meat tenderizer. These small spikes can also help you with cutting slippery items like fish or can come in handy when your kids want to help out. The side with the spikes also has a frame that will prevent excessive juices from spilling, perfect for those who are tired of endlessly wiping spilled juice off your countertop. It is made out of plastic material for easier cleaning, and an affordable item too over-all. This product comes with a lot of extra features for a more convenient cooking experience. It has a small grater that you can use to grate small ingredients, getting rid of the need to bring out another cooking tool, perfect for the lazy daisies out there. It also has ruler guides on two sides to help you cut the ingredients evenly. It also comes with 2 trays where you can place 2 different ingredients that you just cut or just grated, you can make several dishes at once. 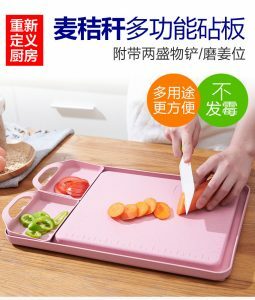 It is perfect for those who want to prepare a lot of different dishes in different shapes and styles but do not want to use too many kitchen tools, and with a very affordable price too at ₱862! Who would’ve thought that cutting boards have so many kinds and types? Choosing the perfect cutting board will contribute greatly to a more enjoyable cooking experience. 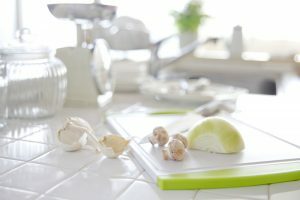 Hope this article can help you out in finding your favorite cutting board!